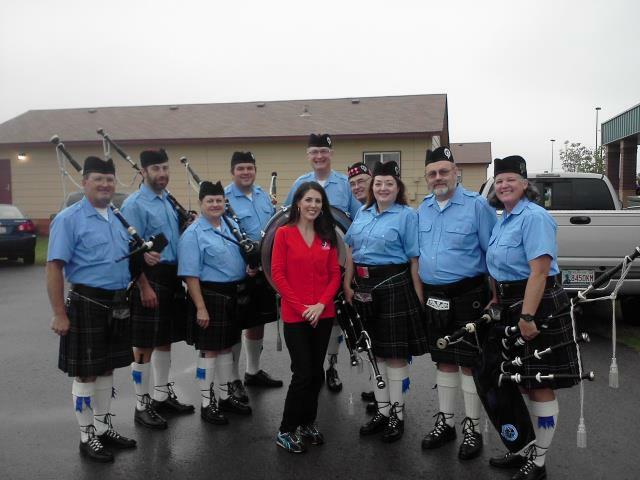 It was rainy, it was muggy, and our pipes were doing crazy things because of the weather, but it was all for a good cause. We led the first leg of the Walk for the Poor at All Saints Catholic School in Norman today. They had one heck of a turnout despite the weather and had some great items they were auctioning off to benefit many local organizations. Before we left we made sure to get our picture taken with Amanda Taylor from Channel 9 news! This entry was posted in Blog Posts by admin. Bookmark the permalink.